This ship is no longer operated by Tallink Silja. 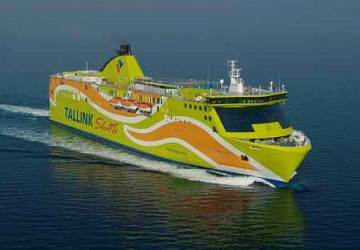 The new generation high speed Tallink Superstar entered service in 2008 and accommodates up to 2080 passengers across 10 decks. 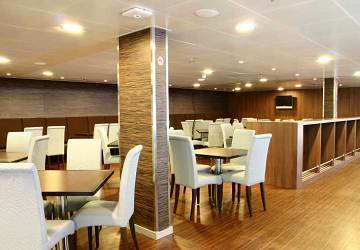 Onboard facilities include an a la carte restaurant, two buffet restaurants, pizzeria, hamburger-café, an ice-cream corner, children’s play area, a sun-deck bar, a casino, business lounge and a large shopping area. The Tallink Superstar is slightly bigger and younger than her sister ship Tallink Star however she is as environmentally friendly and features improved fuel consumption, more modern technology and creates much smaller waves when compared to other high speed crafts. 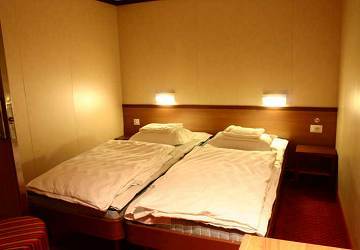 The crossing duration is relatively short and cabin accommodation is not compulsory. 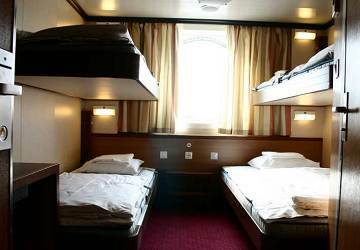 The ship features a total of 736 berths across 186 en-suite cabins with a choice of inside and outside (sea view). 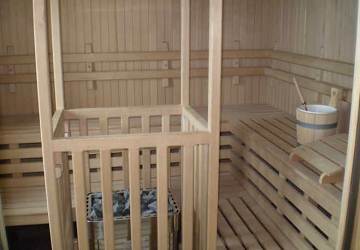 There are also cabins specially adapted for wheelchair access. In terms of reserved seating you’ll find a 140-seat Business Lounge onboard with wireless internet connection and TVs. 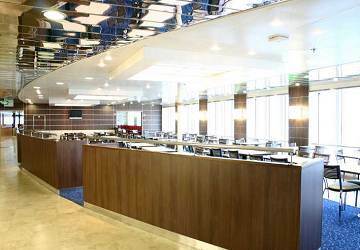 A Business Lounge ticket includes food, drinks and daily newspapers. 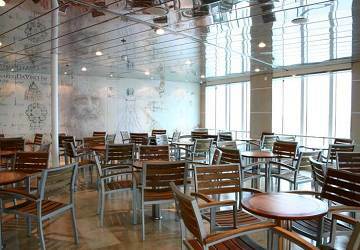 Enjoy the best cuisine on the Baltic Sea in the Tallink Superstar a la carte restaurant and with a wide selection of fine food and the best selection of wines satisfaction is guaranteed whatever your taste. The 300-seat Toscana buffet restaurant is located on deck 8, in the middle of the ship and serves breakfast buffet on morning departures and a warm buffet on afternoon/early evening departures. 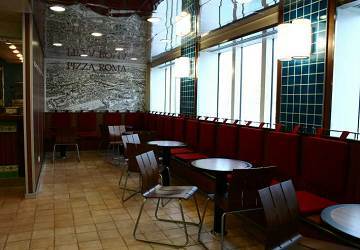 The Sardinia café serves snacks such as buns, sandwiches, triangle breads, salads, coffee pastry, refreshments and warm drinks. 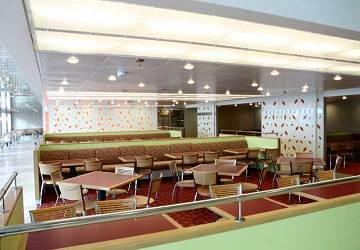 Also on the 8th deck you will find a selection of fast food restaurants including Hamburger Bar Preston, Pizza Roman and Ice Cream Bar Pinocchio. There’s no shortage of bars onboard the Superstar. The Bar Da Vinci on deck 8, in the aft of the ship is bright and cosy piazza-style bar with opened terrace offering a selection of different drinks and small snacks while the Dolce Vita bar (also on deck 8) in the bow of the ship offers a variety of drinks for your enjoyment throughout the trip. 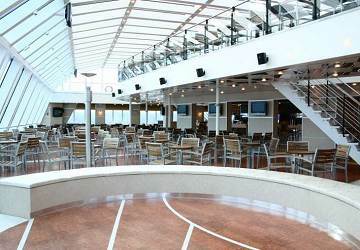 The Sole Bar on the open deck (deck 9) is opened in summer weather permitting. On the Superstar you’ll find large shops selling everything from groceries, alcohol, latest cosmetics, clothes, fashion accessories, travel essentials and much more. 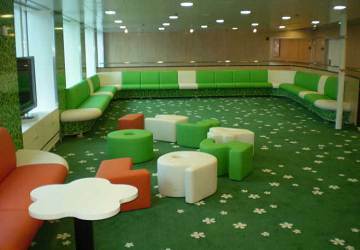 Children are well catered for onboard the Tallink Superstar with a dedicated a playroom which can be found on deck 8. Please Note: Whilst we have taken great care in making our Tallink Superstar guide as accurate as possible, onboard facilities, services and entertainment may vary depending on the date and time of year that you travel, facilities mentioned may change without notification and ferry companies reserve the right to operate vessels other than those mentioned at time of booking without prior notification. everything was good since we getting ready on the ferry trip. However if the shop is open the same time as the terminal opening time, is help the visitor a lot as we have nothing to do or eat in the early hours. "pleasant journey worth the while"
A pleasant journey much much more comfortable than what a train or a flight could give and which is convenient, fun and relaxing. The journey is really an experience worth the while. Ship on time both ways, very easy to leave & to board at Tallinn. Very easy to book on Direct Ferries Comfortable & good value Long walkway to ship at Helsinki Crossing very rough going over, but not the fault of the ship! 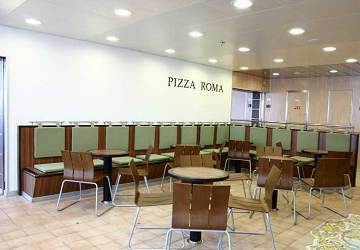 Personally I would prefer more rest areas, most of the seats in or around café or bar. But I will be more than happy to travel on this ship, on this route in the future. Great trip-- excellent service and the facilities are beautiful. Want to take it again. My trip from Tallinn to Helsinki was excellent. Easy online booking, easy registering/ticketing and boarding. "A Great Service, Especially the Seat Upgrade "
I went for a day trip to Tallinn from Helsinki and the ferry was an excellent way to go. I especially appreciated the upgrade to comfort class after a long day walking around Tallinn. The ferry was VERY full and crowded, but comfort class was quiet and I even caught a quiet nap on the sofa on the journey back. Great quality WiFi, very clean, arrived on time. "Great trip, would definitely go again"
A very enjoyable and comfortable trip. Very smooth and efficient, would recommend. it was a nice and pleasant experience. This was a very enjoyable journey with Tallink , there were quite a few people travelling to Helsinki , but there was lots of room for everyone. There was an incredible amount of facilities on board this amazing huge ferry , lots of restaurants bars live music and lots of space to sit around and relax. It was great fun exploring all the different decks, I asked the guy in one of the bars for a map of Helsinki and he kindly directed me to the information point where they had plenty of information and an excellent tourist map, the guy there was very friendly and extremely helpful , it really enhanced the journey for me . a fantastic ferry and helpful staff . I highly recommend a journey with Tallink and Finland and the people are just great , i cant wait to do this again top marks from Damien. Good organization upon depart and arrival from staff, good coordination by entrance and exit from ship. Great facilities on board, clean, very pleasant sailing. A big advantage is the fact that the ship leaves early and takes only 2 hours to cross the Finnish Gulf.